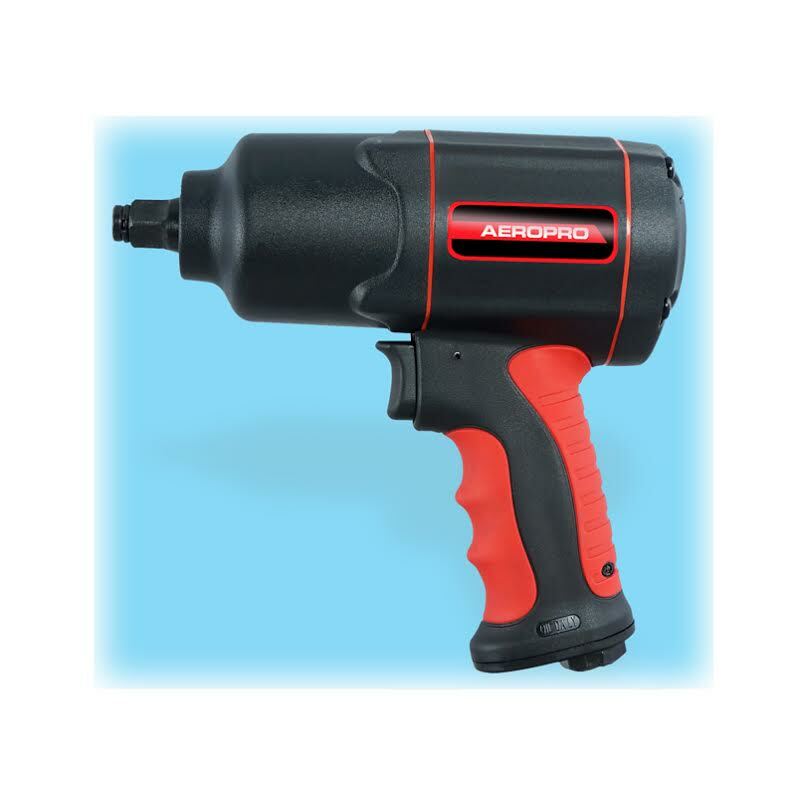 This is our best heavy duty 1/2 inch twin hammer impact wrench for smooth torque transfer and low vibration. It has a special eccentric cylinder design and a 4 position air regulator for greater job versatility. It has a lightweight composite material housing with an aluminum front housing and a soft rubber grip for extra comfort and control. We use German heat treating equipment (IPSEN) on key components to give this tool both quality and longer life. A screened filter air inlet keeps dirt and debris from damaging the tool. The Air exhaust comes out from the bottom of the handle. This tool is designed for the automotive industry including tire shops, suspension, frame, and other heavy duty work. It also works well in various industrial applications where nuts and bolts need to be installed or removed. Always run the Air Impact Wrench using 90 PSI and make sure your air is clean. This will increase the life of the tool. Proper lubrication is also important in maintaining the tool and extending its life.